The new movie – based on a Lovecraft sci-fi story published in Amazing Stories in the late 1920s – from the team behind Mandy has a surprising pick for its director. 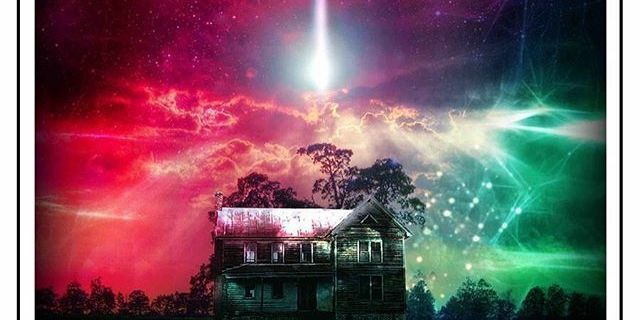 SpectreVision – the company that produced last year’s psychedelic horror Mandy – is venturing into horror mixed with sci-fi with this new project. Lovecraft’s short story tells the tale of a family in New England that encounters a meteorite that emits colorful light. They don’t realize till it’s too late that it’s an alien force with substantial power. It mutates everything it touches. Lovecraft’s madness and the production company’s willingness to get weird are a great match. Filming starts next month, with Cage and Mandy cast-mates Joely Richardson, Tommy Chong, Julian Hilliard, and Q’Orianka Kilcher. It’s being directed by horror auteur Richard Stanley. This will be the first time he’s directed a major release in over 20 years. He made his mark with Dust Devil and Hardware in the early 1990s, and had an absolute bizarre turn directing (and being fired from) the 1996 adaptation of H.G. Wells’ The Island of Dr. Moreau.